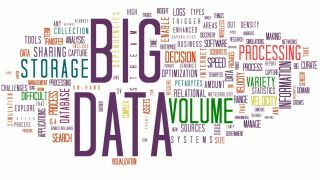 Does your business really understand big data? Attend an IT event these days and chances are someone will be talking about big data. It's been one of the tech world's most significant trends for a few years now, but while we all understand that big data means 'lots of data', we may not fully grasp its transformative power in the enterprise. How can you leverage big data in your business to improve outcomes and performance? TechRadar Pro went to the Outperform conference in Berlin to learn more about how practical applications of big data are driving positive change in the enterprise. The event, hosted by analytics and pricing software specialist PROS, opened with remarks from the company's chief operating officer, Blair Crump. "A few years ago, Michu was relatively unknown. Swansea went and scouted him. People wondered how the manager pulled off such a coup, and what he did was they took stats from his performances and grinded the data. They concluded that the secret was to shift him to playing [striker]. As a result, they were able to optimise his performance. Why did [the manager] have the confidence to do that? It's all about having the data. With data you challenge the status quo and look at things from a new perspective." However, Crump conceded that maximising value from your organisation's data isn't always the easiest task. "In all of the data, it's hard to understand what matters. The key is to to understand what attributes you're looking for and which ones don't matter – it's about using data to uncover better outcomes for your business. Your data is one of the most important assets of your company. You need to listen to it." "The tools enabling you to effectively use it are equally important – it's all about how you apply data and differentiate yourself across every aspect of a customer lifecycle journey – connecting with customers rather than customers connecting with you. With increasing options, customers are less tolerant of experiences that are less than their expectations. Big data is a competitive advantage that drives better results and enables your company to outperform."